This is different from most pieces I make. Its more delicate and more delicate. 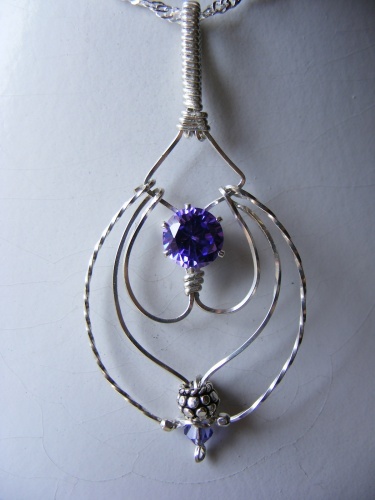 Has a beautiful 8mm swarovski crystal in purple velvet color enhancing the design. Sculpted in argentium silver.